On the first day of her new job in the West Country, Detective Sergeant Kate Redman finds herself investigating the kidnapping of Charlie Fullman, the newborn son of a wealthy entrepreneur and his trophy wife. It seems a straightforward case... but as Kate and her fellow officer Mark Olbeck delve deeper, they uncover murky secrets and multiple motives for the crime. Hushabye (A Kate Redman Mystery: Book 1) is the the first novel in the best selling Kate Redman Mystery series from crime writer Celina Grace, author of Lost Girls and The House on Fever Street. Do you love Hushabye (A Kate Redman Mystery: Book 1) book? Please share! Very good writer, couldn’t put it down, looking forward to the next one! Love the Kate Redman mysteries. This was a good first in the series story with great character development. Good structure. Interesting story. Liked it a lot. There is absolutely no good reason to use the offensive language that you use in this book! For those reviewers who haven’t even read this book but we’re put off by language, I counted three f-bombs in the entire book. And each was appropriate to a character in the moment. I would think these holier-than-thou prudes don’t get to read many books. Too bad - you missed a good one here. Oh, and stop reviewing books you haven’t read. Now that’s really very lame of you. 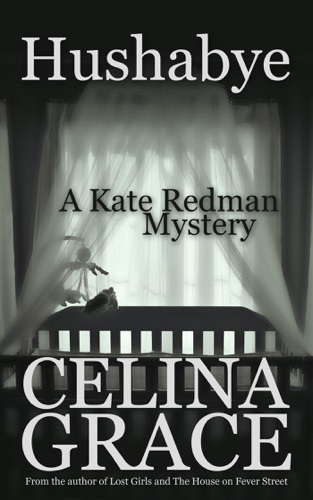 Hushabye (A Kate Redman Mystery: Book 1) - Celina Grace E-Book coming soon..